Welcome to Strega Luna (Moon Witch in Italian <|:-) previously known as Sweet Peace Jewelry where we offer the best Witchcraft Supplies and Altar Tools including Wiccan Herbs, Herbs for spells, Ritual Oils for spells, Witchcraft Altar Kits and all types of Metaphysical supplies in our shop! If it has to do with nature or improving the self... then you can find it here! You can find Healing Herbs, 100% Pure and Natural Essential Oil Blends as well as personal development and spiritual growth online courses. HOW WOULD YOU LIKE TO START SELLING METAPHYSICAL PRODUCTS FROM HOME? Wouldn't it be awesome to start showing your friends, family and co-workers how they could use metaphysical products to benefit their own lives? Wouldn't it be great to perform spells and demonstrate your passion for the metaphysical while you are making money doing it? Strega Luna Metaphysical Home Parties & Metaphysical Shoppe is looking for partners to join our team! Start your own business, work from home and spend more time with your family! Contact Me Now through my Etsy Shop to Start Your Business Today! Or visit www.stregaluna.net for more information. 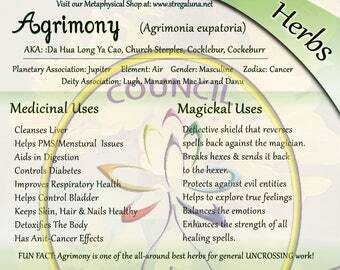 We specialize in metaphysical products and supplies. For our blends we use premium fragrance oils, Ritual Oils, 100 % Pure and Natural Essential Oils and the finest herbs for our witchcraft supplies, herb boxes and altar kits. Nature is my True Love and Passion and I absolutely LOVE LOVE LOVE!! to create with what has been given to us! You Can Find Anything Witchcraft Here! From Wiccan Herbs to Pagan Ritual Oils and healing Essential Oils to soothing Natural Remedies, I can customize most products with your specific needs and requirements..
NEW! personal development and spiritual growth online courses. Jewelry with healing crystals and gemstones can create positive vibrations and healing in the body which can aid in relieving many types of ailments. This happens by balancing the 7 chakras as well as the mind, body and spirit. Crystals can also be used as protective amulets or used in charm bags. Please be sure to view the item description in all of our healing crystals listings and our Wiccan herbs listing for the meanings of the healing crystals and the herb descriptions so you know how each one can help you in your life. We are consistently adding new products, so please ask! Join our Facebook to receive notifications about our magickal shipping hour on Facebook Live starting Friday! Join the metaphysical movement now! Join us for FB Live Video Shopping! Learn different uses for herbs & oils! Starts Mon. 4/8/19 at 7:30pm Thur. Too!! Special Offers only available there!! Follow now so u receive alerts! NEW CRYSTALS in stock ! More coming soon so follow me! Merlinite is an amazing stone for your altar! 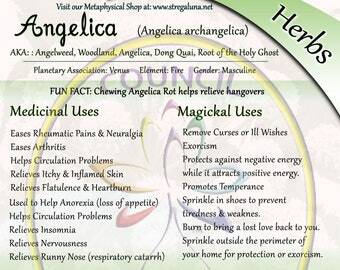 It helps you to learn magick or increase the magick in your spells !! Get yours now ! Stones are in natural rough/ raw form ! Herbal Christmas Ornaments Filled with Natural Herbs and Scented with Pure and Natural Essential Oils! herbal oils, tinctures, extracts herbal teas and tonics. Natural healing for pets and people! Metaphysically, Spiritually & Holistically AWESOME Products! Hello everyone and thank you for shopping at my Etsy Shop! My goal with my Etsy Products is bring nature to your door! We all need to get out sometimes, but unfortunately it's not so easy for some people :(. 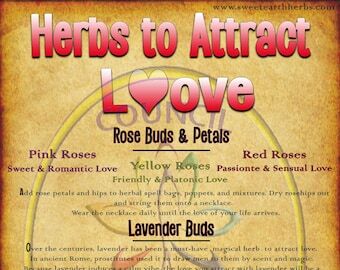 But with Strega Luna Metaphysical & Natural Supplies Shop, we bring nature indoors right to your door! I believe in oneness in the world and welcome special orders and feedback! Nice to meet you all! ONLY $29 a month for a LIMITED TIME! I look forward to serving you with metaphysically, spiritually and holistically awesome products! Lisa Holds 9 Certifications in Holistic Therapies and a Degree in Transformational Psychology. S Lisa channels messages from the angels to help people move forward in life. She also uses crystal energy healing in her practice to help others. To send you sales, coupons and valuable information about how to use our products.